Have a rare Microtech you would like to sell? BladeHQ buys rare knives! 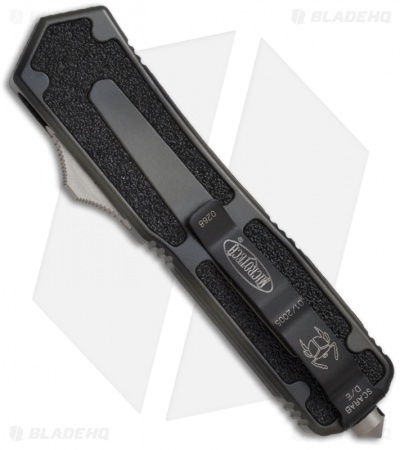 This Microtech Scarab was made in January 2005, serial number 0268. 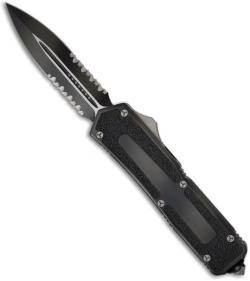 It features a green camo finished blade and handle. Action, lock-up and quality are all top-notch. This Scarab has a double edged stainless steel blade with partially serrated edges. The handle has grip-tech inserts, pocket clip and glass breaker tip. This item was acquired through a collector. It is in excellent condition and includes the original box, paperwork and sheath.